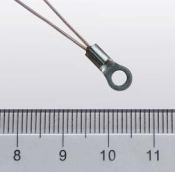 ATH10KL2DT70 – Analog Technologies, Inc. 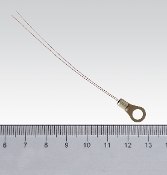 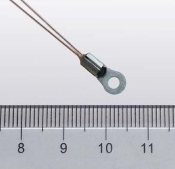 The ATH10KL2D series thermistor consists of three versions, ATH10KL2D, ATH10KL2DT70 and ATH10KL2DT70S. 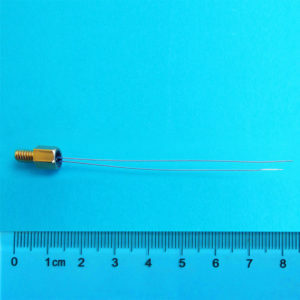 The ATH10KL2D has bare leads coated with copper, the ATH10KL2DT70S has the leads covered by high temperature plastic tubing and sealed by epoxy, while the ATH10KL2DT70 is the non-sealed version.